Like Vaughan’s other books, True Friendship is insightful, punchy, clear, and biblical. He writes as a Pastor to ordinary people, and it’s hard to imagine anyone struggling to understand what he’s saying. If you can read English, you can read True Friendship. And yet behind this easy style lies a remarkable depth of theological and pastoral reflection. Vaughan has clearly read widely and deeply on the subject of friendship, and brings us insights from (among others) the 12th-century English monk Aelred of Rievaulx, the 19th-century theologian Hugh Black, and the 20th-century Catholic Priest Henri Nouwen, along with more familiar names such as C. S. Lewis and Francis Schaeffer. Vaughan encourages his readers to take time chewing over what he says, and each chapter ends with questions for reflection, making the book ideal for group discussion. There’s certainly plenty to discuss. 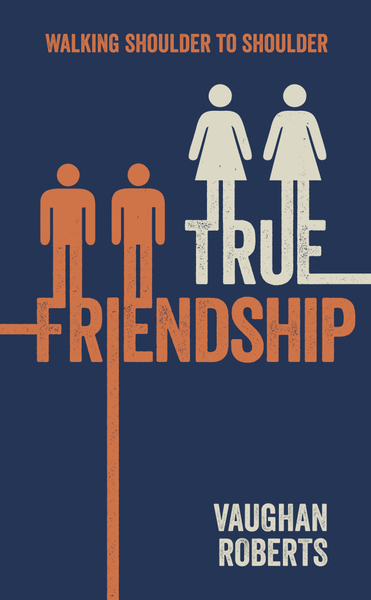 For though True Friendship is short (less than 100 pages), each chapter is succinct and thought-provoking, and the book as a whole covers a remarkable range of biblical, theological, and pastoral material. The first chapter sets the scene: friendship is a reflection of the gospel itself, the message that lies at the heart of the Scriptures and reveals the relational character of God himself as Father, Son, and Holy Spirit. Friendship is therefore crucial for all of us, for in cultivating friendships we come to reflect more closely the image of God. The following five chapters reflect on friendship from several other angles: true friendship is close, constant, candid, careful, and Christ-centred. A few highlights will give a flavour of the book’s many strengths. Vaughan attacks the caricatured social expectation than men should “not cry ... not display weakness ... [and] not need affection or gentleness or warmth.” On the contrary, he insists, “Unless men are able to resist this unhelpful understanding of masculinity and be vulnerable with each other, they will always have companions, but not friends” (pp. 23-24). Of course, while it’s a tremendous blessing to have deeper friendships, developing them requires both commitment and sensitivity. “The danger of cliquey exclusivity” means that coffee-time after church may be “not the ideal time for intense conversations that only include a few” (pp. 36-37). And it’s a mistake simply to become jealous of others whose relationships seem more authentic than ours. Instead, says Vaughan, “The way to have good friends is to be a good friend. Instead of lamenting that no one invites us for a meal, that our church is so unfriendly and that everyone relates at such a superficial level, let us take the initiative to open our homes and lives and see what happens” (p. 40). Another way to cultivate sincere, intimate friendships is to be candid with one another. “That will involve sharing our hopes, fear and passions, as well as our darkest secrets or greatest temptations” (p. 47). In a characteristic display of honesty, Vaughan recalls, “I have found time and again that as I have taken the risk of being open with trusted friends, far from recoiling from me in horror, they have responded by revealing some of their own struggles, and our friendship has deepened” (p. 48). Just a few insights from a deeply perceptive book that promises to be a blessing to many. Steve Jeffery is the Minister at Emmanuel Evangelical Church, North London. Comments will be held for moderation and posted as soon as possible.